Grivel's UK exclusive ice axe, the Helix is ideal for Ski-Touring and Scottish Winter Mountaineering. Classic alpine mountaineering axe with neutral pick shape & spring leash with Rota carabiner. Technical ice axe for steep ascents & technical mountaineering from UK climbing specialists DMM. Award winning hybrid of classical ice-pick and technical mountaineering tool. A Grivel favourite, built for classic and technical alpinism - great for Scottish winter mountaineering. Lightweight ice axe for ski touring & fast moving winter walking. Make swift work of any ascent with Black Diamond's toughest T-rated piolet. 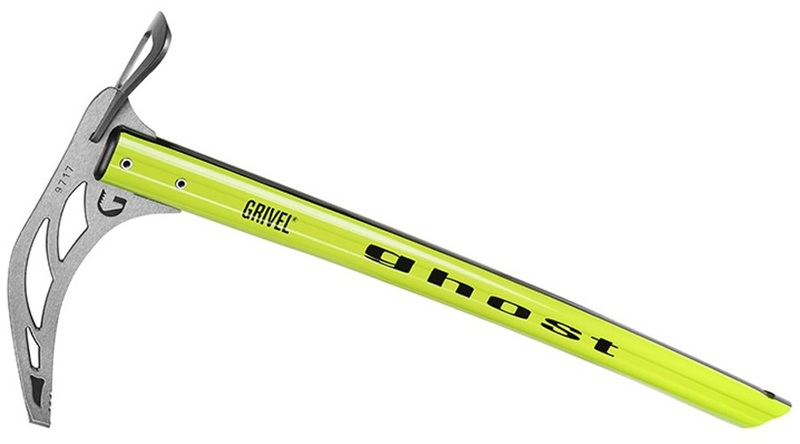 Technical mountaineering ice axe from Grivel. High quality, technical climbing axe from UK specialists DMM. Ultralight & compact mountaineering ice axe for ski touring from Salewa. Super-light and versatile ice climbing axe for fast moving technical ascents. Great value technical ice tool for demanding winter ascents. Includes leash. Lightweight, straight-shaft ice axe for glacier travel and mountaineering. Classical negative pick ice axe for mountain walkers trekking above snowline. Classic alpine mountaineering axe with neutral pick shape & long leash lanyard. Stubai's lightest mountaineering ice axe! Aluminium construction for fast and light ski tours and alpine trekking.